If energy storage advocates have their way, storage will receive the same US tax benefits as does solar — an investment tax credit for new installations. 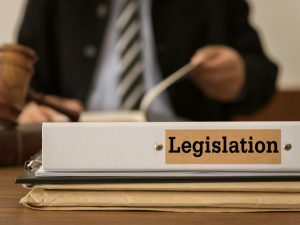 Legislation to do just that was introduced in the House of Representatives late last week. Rep. Mike Doyle, D-Pa., would create a separate energy storage infrastructure investment tax credit based on the existing tax credits for solar energy. He introduced a similar bill in the last session of Congress, as did the U.S. Senate. The senate is expected to follow suit again during this session of Congress, all to provide parity among 21st century clean energy technologies. What’s next for microgrid policy? Join thought leaders and change-makers from throughout the US on May 13 in San Diego for a special Microgrid 2019 workshop: Tariffs, tax incentives, RECs or something else? 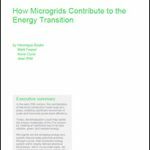 What’s the way forward for the microgrid industry? The investment tax credit for solar energy allows developers to deduct 30 percent of the cost of installing such systems on both residential and commercial properties. The 30 percent comes right off their federal taxes. In 2020, however, that credit is reduced to 26 percent and in 2021, it is cut to 22 percent. It would be 10 percent beyond that point — unless Congress steps in and extends it. That is possible, given that more than 100 members of Congress have written to the House Ways Committee chair asking for the investment tax credit to be extended. It must remain in effect, they say, to help usher in the 21st century clean-tech economy, as well as to offset President Trump’s policies, especially those that ignore the impact of carbon dioxide releases. All tax bills are first introduced in the tax-writing House Ways and Means Committee. “These changes would drive investment and innovation in clean electricity, clean transportation, and energy efficiency – growing the economy and keeping costs low for consumers while accelerating the transition away from fossil fuels and improving our chances of seriously addressing climate change,” says the letter signed by members of Congress. Energy storage is used in combination with on site generation and microgrids to provide backup power if the main grid goes down or to help reduce congestion on the grid during peak demand. The technology not only limits the wear-and-tear on the grid but it also facilitates the use of more wind and solar energy by releasing electrons when the renewable sources are not available. The current tax code allows an investment tax credit for energy storage when it is installed in conjunction with a solar energy system, says the bill’s author, Rep. Doyle. The new measure would extend the same benefit to energy storage investments for a wider range of applications. Track news about microgrids and energy storage. Subscribe to the free Microgrid Knowledge newsletter. How does one write an article about a functional technology and not tout a particular brand? I wrote about a relatively inexpensive insulation coating we produce and it’s used by food companies on saturated steam equipment (25% energy savings noted) that can’t be insulated with conventional materials as those products are subject to water saturation and lead to corrosion under insulation problems.